A lot of unpleasant things can happen to your teeth. They can decay, be broken, go missing, and this can greatly impact your smile. At Aspros & Boyd Dental Associates, we believe no smile is too forgone, no matter its condition when it comes through our door. Dr. Steve Aspros, Dr. Ransey Boyd, and Dr. Kirstin Walther are confident they can repair just about anything, and they have the track record to prove it. If your smile is showing a little wear and tear, don’t wait, contact us today and we’ll be able to give you back everything you’ve lost. When a tooth has been damaged due to decay or injury, its lost structure needs to be replaced so it can properly function within your mouth. Also, its appearance needs to be restored so you can smile confidently again. 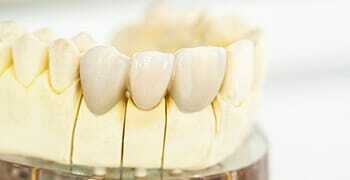 In order to bring back both of these important elements, we use two of the most reliable methods: crowns and bridges. For generations, dentists have been using them to fix what cavities and trauma have taken away and the results are consistently amazing. Do you have dark gray fillings that stick out whenever you talk or laugh? Have you spotted them in pictures and been mortified? If so, you may be interested in getting tooth-colored fillings. Instead of metal, these fillings are made of a composite resin that can be perfectly shaded to match the rest of your teeth.Their advantages are more than just aesthetic--they also do a better job of restoring your teeth and fixing small cavities. Previously, metal fillings required a dentist to make a pocket within your tooth for the filling to sit in, and this weakened the tooth overall. Tooth-colored fillings, however, bond directly to the enamel, which allows Dr. Aspros, Dr. Boyd, and Dr. Walther to leave more of your natural tooth intact. Plus, because the composite resin is made of plastic, your tooth will no longer be sensitive to hot and cold temperatures. Your tooth will be stronger, look better, feel better and will be the last thing on your mind the next time you smile. Dentures have been used for generations to help people dealing with extensive tooth loss, because they are still one of the most effective ways to address it. 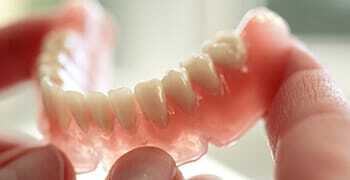 Modern-day dentures are more comfortable and natural looking than ever before. Partial dentures can be used to fill the gaps in your smile like the missing piece of a puzzle. Even if you are missing an entire arch of teeth, complete dentures can bring it back. They can both give you a smile you can trust whenever you want to eat or speak. If you are suffering from extreme dental pain, it might be because a cavity or injury has damaged the sensitive nerve of your tooth and the best way to get the relief you need is a root canal. 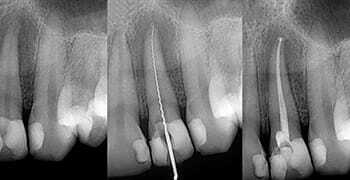 Despite its dubious reputation, thanks to modern-day dentistry, root canals are quite painless and effective at taking away the most extreme dental pain. At Aspros & Boyd Dental Associates, we perform root canals on all anterior (front) teeth and will refer you to a highly-trained and trusted specialist to assist with more complicated cases. While we always do everything we can to save your teeth, sometimes the only solution is to have one removed. You can rest assured that we will exhaust every possible option beforehand and will always perform your extraction with the utmost care. With the assistance of nitrous oxide sedation and anesthetic, most of the time, we are able to remove a tooth before a patient even knows we’ve begun. 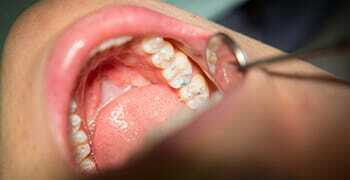 You can also trust us with more complicated cases, as we perform wisdom tooth extractions right in our office.